Did you know that on earth there are still a few ethnic groups who have never had contact with the civilized society. Examples of these tribes are located in four continents: Asia, Oceania, North America and South America. These human groups, although their knowledge of great anthropological interest, they are not contacted by scholars for choice of the latter: it could infect the natives with viruses for which their immune system is not prepared and cause extinction. How ‘already’ happened in the past with the colonization of the Spanish in America; that common diseases such as infections or influence in Europe, decimated the conquered populations. 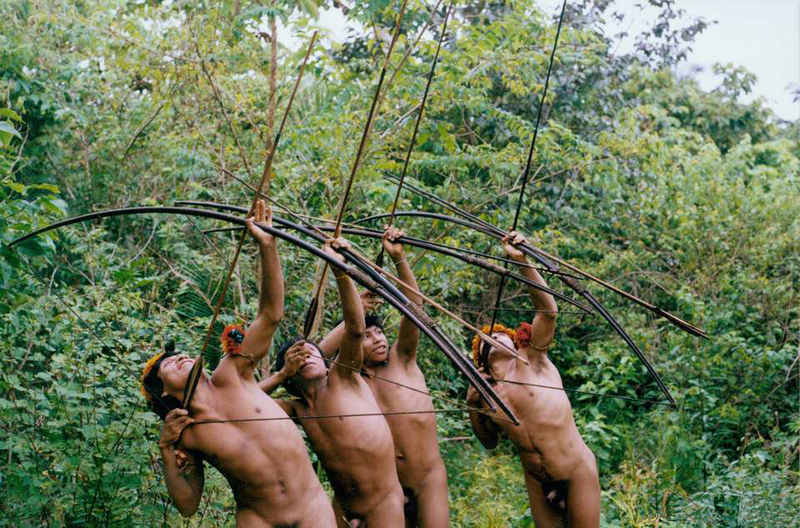 There is an exception among the “uncontacted” of our day. A small people who live in a remote area. 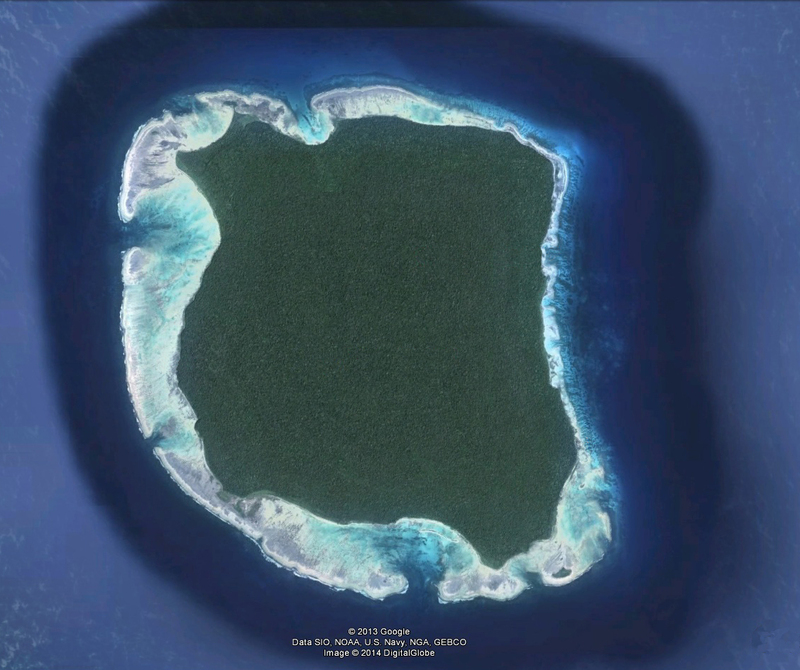 The island in question is not mentioned in any book he or fiction television nature documentary. And ‘home to a tribe of natives, whose consistency population is estimated to be between 20 100 individuals. Probably one of the very few people on earth who is more “genuinely isolated” not to have had any influence by modern civilization. He had only sporadic contact with people at a distance outside, in particular at governmental missions or study; met with launch arrows from the inhabitants that always repel any contact. The biological and geographical isolation makes them a valuable asset for the study of human evolution. Their willingness to kill intruders is what has helped them to maintain their status intact, but it is also a major obstacle for researchers.The local government has repeatedly stated that it has no intention to interfere with the lifestyle and habitat of the inhabitants. Although it is likely that they have suffered severely the effects of a tsunami in 2004 Their was confirmed when, a few days after the event, a government helicopter flew over the island being targeted as usual since the launch of arrows by the inhabitants. They have a religion? They know how to write? They know of the existence of ‘envy?Of guilt? Love? The generosity? Spank their children? They know how to sing? do not know anything! Marco Polo, in 1296, described this people as one of the most violent and savage tribes of Asia, capable of killing and eating any intruder that he was in their territory. While their penchant for cannibalism has never been confirmed, nothing has changed on the island and still remote tribe living in the Stone Age . Their origins are uncertain, and their language is incomprehensible to outsiders. They fire, but it is unclear whether they know it or have to wait to create lightning. They modeled weapons and tools from pieces of scrap that they found on their beaches.Apparently the satellite photos do not practice agriculture and mainly living as hunter-gatherers. They feed on fish, fruits, tubers, wild pigs, lizards and honey. The nation which they depend in the last twenty years has imposed a buffer zone 3 nautical miles around the island to ward off both the curious; well-known explorers and anthropologists such as Jacques Cousteau and Claude Lévi-Strauss. The visits to the island have now ceased. Although still occur accidental encounters. The latest news is that they are dating back to 2006; when the boat of two crab fishermen who broke the anchor rope reached the island from which they have not done return. Dear Buthadarma, Innanzi tutto grazie di esserti interessato dei miei scritti. Ho letto alcune tue pubblicazioni che ho trovato interessanti e affini alle mie. Infatti entrambi scriviamo e pubblichiamo sia in Italiano che in Inglese, entrambi siamo interessati di archeologia e entrambi abbiamo scritto riguardo l’amazzonia Brasiliana!